Recently, a bar I work at issued me a directive that I choose to think of as a challenge. Since I began there, evening business has increased dramatically, and management has decided that, in the interest of providing the swiftest service possible, all specialty cocktails should take no more than two minutes to create when ordered. As a bartender, I completely understood this objective of getting the customer the drink quickly, but as a mixologist, I wanted to ensure that all creations still upheld the highest levels of freshness and creativity. As I pondered my directive for new cocktail pairings, I thought about something a wise mentor once said to me, "things are only as good as the base level." In the case of cocktails, that means preparation. The creation and pairing of flavors is an art that can take as long or as short of a time as necessary, as long as you intentionally and effectively prepare your ingredients so that, when the time comes to combine them, it appears swift and effortless. Monet didn't just wake up one morning and think, "today I shall paint for the first time and create a masterpiece!" He studied and practiced for decades before creating his most seminal works. He put in the preparation so that, when inspired, he could simply paint. I usually start my flavor play for cocktails with the non-alcoholic side of the equation. While the play of the flavors within the alcohol component is crucial, to me, if you don't have the optimum combination of fruit, juices, herbs, and spices going in, the drink isn't truly going to hit the mark of what you intend to achieve. I began thinking through the possibilities of purees, syrups, and infused waters for simplicity in the final creation process. Not to say muddling was completely off the table, but it does eat up a bit more time than stirring or shaking. I started with a puree. 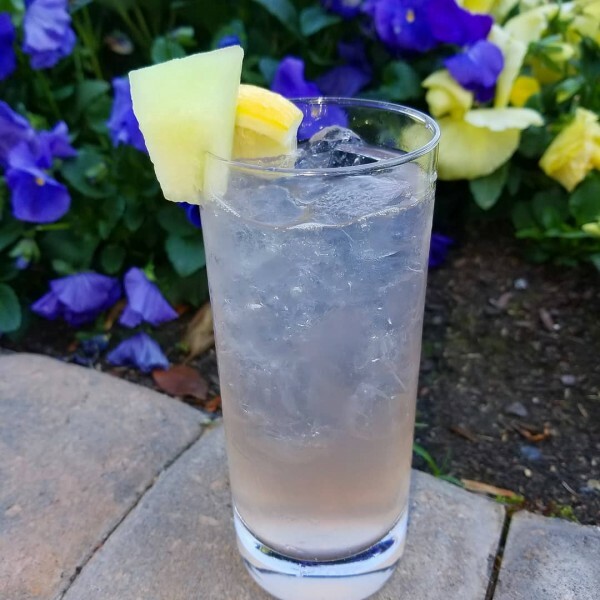 In this instance, I wanted to create a light, fruity but not too sweet drink, perfect for spring or summer patio sipping. I also wanted the flavors of the fruits to stand alone without the help of additional sugar. In an effort to small batch test, I muddled 2 cubes of honeydew melon in water until it was puree consistency, then added a pinch of coriander to brighten the flavor and add a bit of spice to compliment the cool sweetness of the honeydew. Once I got the amounts correct for the flavor I wanted, I added a splash of soda water to ensure the flavors didn't disappear with the introduction of a thinning component, then, after a couple of flavor tests, decided that raspberry vodka & ginger liqueur would be the optimal combination for my cocktail in this case. And so, The Spring Fling was born! Water and soda water infusions are an area that, in my opinion, many bars don't utilize to their potential. While it does take time and constant upkeep to ensure enough is on hand for a popular cocktail, the result is a fresh, fantastic flavor that health conscious patrons love. Cucumber lime, strawberry basil, and pineapple orange are some common favorites, but what about cilantro lime, or ginger lemongrass, or jalapeno grapefruit! The possibilities are truly only as limited as your imagination! I am actually excited for the new possibilities this challenge brings! While the effort on the backside does require extra thought and planning, the results on the front end will be happy customers with delicious drinks swiftly in hand!